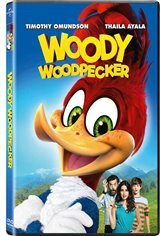 When hotshot lawyer Lance Walters (Timothy Omundson) and his family decide to tear down the forest to build their dream mansion, a red-headed bird named Woody Woodpecker (voice of Eric Bauza) proves he'll stop at nothing to defend his turf. Canadian Connection : Filmed in British Columbia. Many of the cast members are Canadian.